Describing Temperament – When Tim says ‘I’m all calm and controlled on the surface’ he’s describing his temperament. Temperament is the part of your character that affects your feelings and moods and the way you behave. Read this BBC article about how temperament differs around the world. 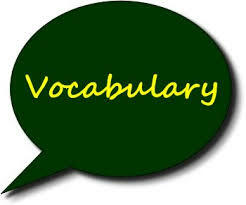 Practice the following vocabulary with your Skype Class Teacher Philip. Here are some other ways to describe people’s temperament and personality. Example: Even after he was sent to prison for murder, she still visited him every week. I don’t think I would be so loyal if I was in her shoes. Example: She’s the life and soul of every party. She’s really extrovert. Example: Bill’s a really warm guy. If you ever need to ask a favour, he’ll always try to help you out. Example: He’s really sociable. He goes out every weekend, loves going to parties and has loads of friends. Example: She’s just who you want to be with in a crisis. She’s so calm. She never gets flustered even when it’s all going really badly, she just gets on with what she has to do without making a big fuss. Example: Even though he’s a really aggressive boxer, at home he’s a loving, sensitive father bringing up three children by himself. Example: He’s so temperamental I never know how to approach him. One minute he’s as nice as anything, next he’s a complete nightmare. quiet and easy for other people to influence, persuade or control Example: He’s as docile as a lamb around her. She can do whatever she wants and he never argues. unable to stop thinking about something; too interested in or worried about something She’s incredibly obsessive. Example: Everything in her kitchen is in perfect order and every one of her books and CDs is arranged in alphabetical order. Example: He acts on stage in front of hundreds of people. It’s hard to believe he’s actually really shy and completely introverted. Example: She’s very cold. Even if you’re really ill, she expects you to come into work. She has no sympathy for you have any kind of difficulty at all.